A road uphill, among the vineyards of Nebbiolo, Barbaresco and Dolcetto, in the most genuine and natural Langa, in the heart of the Barbaresco area, is the path that leads to Treiso, a UNESCO site 410 meters above sea level and about 9 km from Alba, 5 km from Barbaresco and another 5 km from Neive. Treiso is a small village, a "segment" of the Langa, with the Church and the bell tower in the center of a square (one of the largest in all the Langhe), around which group and develop houses scattered throughout the surrounding territory. At Treiso there is a view that strikes straight to the heart, a sort of terrace on a wonderful panorama made of vineyards and hills that change color with the seasons. “From that small square you can overlook a little Langa on the left and right the hills of the Oltretanaro after which there is the plain at the end of which is the great city of Turin. The morning vapors slowly rose and the hills appeared as if they were being taken off a dress from below up. Negus said, as if among himself: - This world is made to live in peace with us”. The name Treiso is inextricably linked to that of Barbaresco. Tresio is located in the heart of the Barbaresco area, exactly at the meeting point of 5 hills. The structure of the territory is formed by a conspicuous frame of long hills, alternated by deep and medium wide valleys. The gullies are frequent, an extremely fascinating effect of the erosive phenomenon of water. 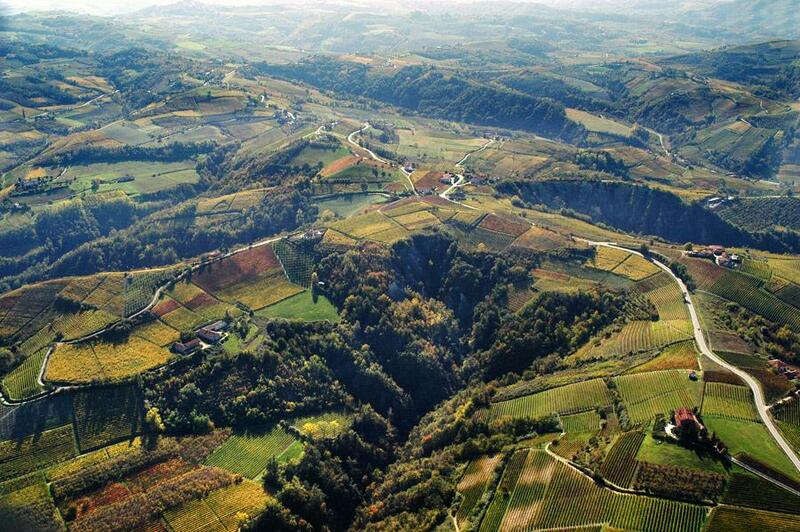 The Barbaresco area is not fundamentally different from the Barolo area from a geological point of view. 1. The soils of Treiso, San Rocco Seno d'Elvio and Neive, south of the town centre, belong to the " Formations of Lequio " (Tortoniano-Serravalliano), characterised by layers of compact grey marl alternating with layers of sand. 2. The land of Barbaresco and the part of Neive that is leaning against Barbaresco belong to the " Marne of Sant'Agata Fossili " (Tortoniano), characterized by calcareous bluish marls. Another important element, primary to define the quality and character of a grape like Nebbiolo, so difficult to ripen completely, with its need to get the maximum amount of heat and sunlight, is altitude. The altitude above sea level is between 150-450 meters, which is practically the ideal range for growing vines at these latitudes. But at this point a clarification is required: the automatic identification between low levels and higher heat must be avoided, since exposure, slope position, presence or absence of wind currents and landscape configuration are also of fundamental importance in determining a precise microclimate. It is interesting to note, however, that the nine locations referred to as "chosen positions" by Fantini at the end of the 19th century – New Farmhouse, Burnt Farmhouse, Casotto, Ghiga, Rivosordo, Roncagliette, Manzola, Frattino, Valeirano - all belong to a fairly narrow range of elevation values. Their altitudes in meters above sea level are: 278, 321, 316, 210, 260, 334, 219, 260 respectively. Nevertheless, without letting us go to easy generalizations, the ideal altitude range for the Barbaresco seems to be between 200 and 350 meters. Although the territory of Barbaresco seems to be large, the total area of vines planted with nebbiolo for Barbaresco is not particularly large: just over 700 Ha (exactly 733 Ha in 2014), less than 40% of the size of Barolo. The low percentage of this variety compared to the global size of the area planted with vines is not surprising, as Nebbiolo is one of the most prestigious and aristocratic varieties in Italy, but also one of the most demanding in terms of soil and climate exposure. Nevertheless, the vineyards are the most important "monument" of this land, fascinating for those who come to visit and a source of pride for people who live there. 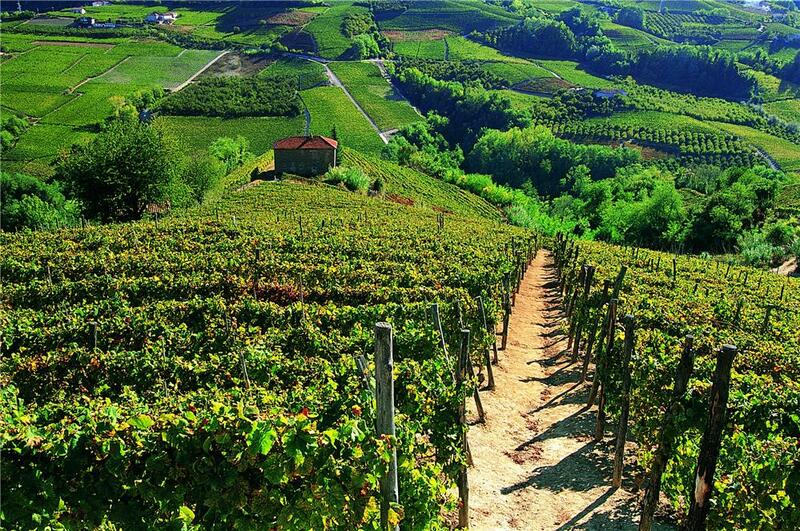 It is from these vineyards that are born some of the most important wines of Piedmont, Barbaresco among all, red wine prized that has earned the deserved Denomination of Controlled and Guaranteed Origin. The production and subsequent operations of winemaking and aging of Barbaresco are compulsory carried out within these 4 municipalities of Cuneo. 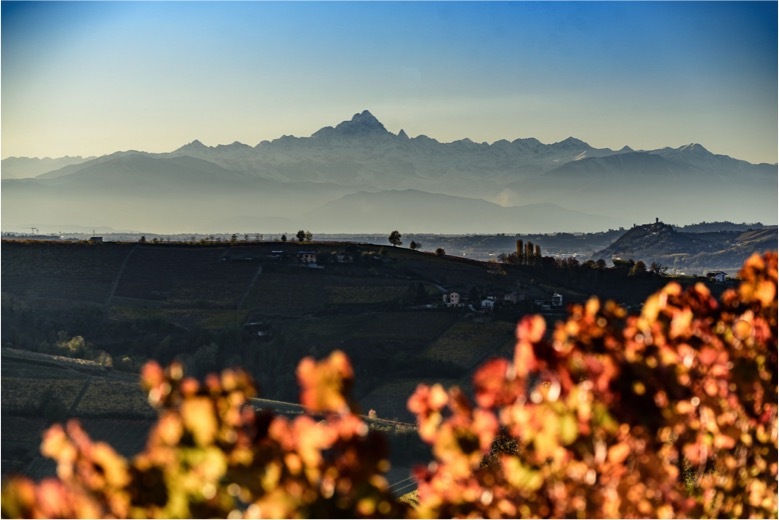 From the climatic point of view, the Barbaresco area has typically continental characteristics, with winters that can be defined as rigid, during which there are also high snowfall. Summers are hot and humid, while the intermediate seasons are marked by rainfall and sudden changes in temperature between day and night. As far as temperatures are concerned, the following values apply: Winter +2°, spring +10°, summer +20°, autumn +10°C. Average temperatures range from 10°C to 25°C, although they are higher in summer and significantly lower in winter. About atmospheric precipitation, the rains are characteristic of spring and autumn, snowfalls in winter, sunny days and thunderstorms in summer. Average rainfall is between 800 and 900 millimeters per year, with relatively low winds, these areas being "protected" to the south-west by the Maritime Alps and the Ligurian Apennines.